There’s something very satisfying about turning our calendars to January. It always feels like a fresh start. We resolve to develop new, better ways of using our work and leisure time. We reflect on what we accomplished in the past year, and we look forward to achieving even more in the next year. 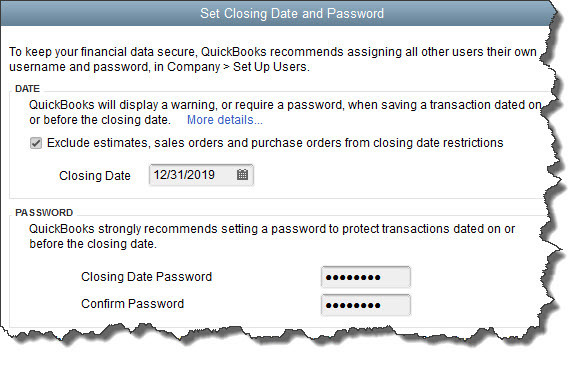 If you set a closing date of December 31 in QuickBooks’ Preferences, you need to prepare your company file for this deadline in advance. We can help you get ready. You may have already been working with your tax consultant on tax planning for the 2015 tax year. But if you haven’t, and you haven’t been doing so on your own, you need to look at your incoming and outgoing funds for the year because there are still some things you can take advantage of. I would recommend you making an appointment with your tax consultant immediately. Talk to us about your tax situation if you think this may be necessary. We can create some reports and advise you on any situations where you might want to put off – or accelerate – some actions. Is your income running high and your offsetting expenses low? 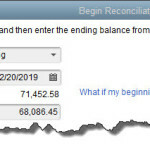 You should do a final reconciliation of all accounts for 2015. If you didn’t utilize QB and finish up the accounting in 2015 and you are feeling the pain, Don’t panic~ make a new resolution for 2016. We can help you ring in the New Year on a more confident note.